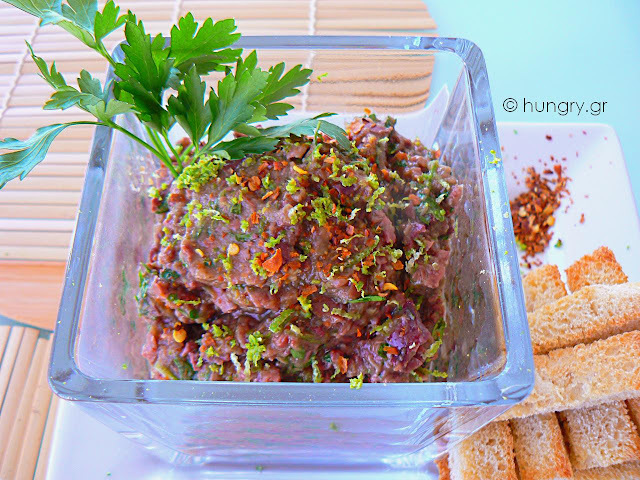 Grilled eggplant spread, with olives, garlic, parsley and lime zest. 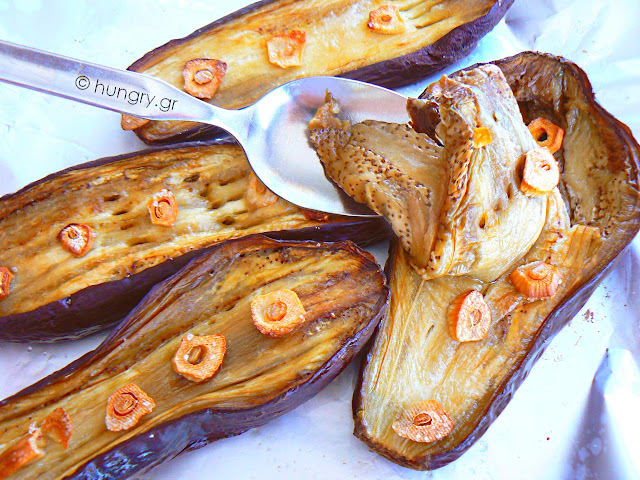 Strong flavors, spicy and delicious, with the sweet eggplant balancing the intense flavors of other ingredients. 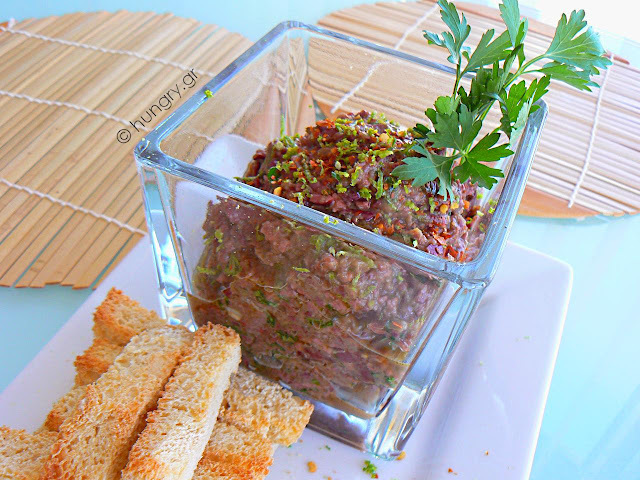 Served as an appetizer but can be server plain, accompanied with a beverage of your choice. A glass of good red wine will pleasantly balance the olive and pepper. The excellent flavor of lime improves the taste. Wash and cut the eggplants (aubergines) lengthwise. 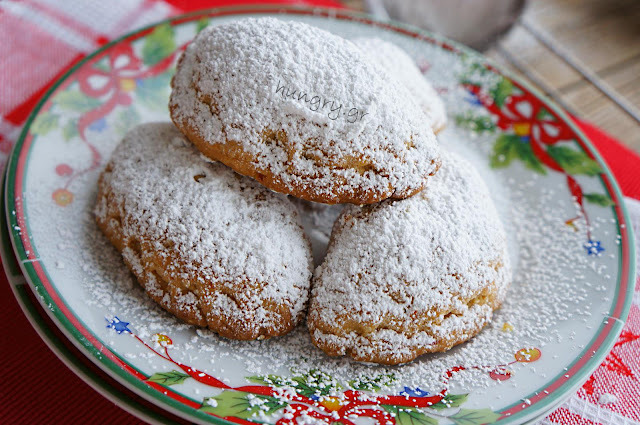 Place them in a baking pan lined with foil, with the cut surface facing up. Oil them and put garlic slices on them. Sprinkle a little salt. Bake in a preheated oven at 200°C/ 390°F/ Gas 6 for ~20'. At the same time, toast a few slices of bread, cut into sticks. 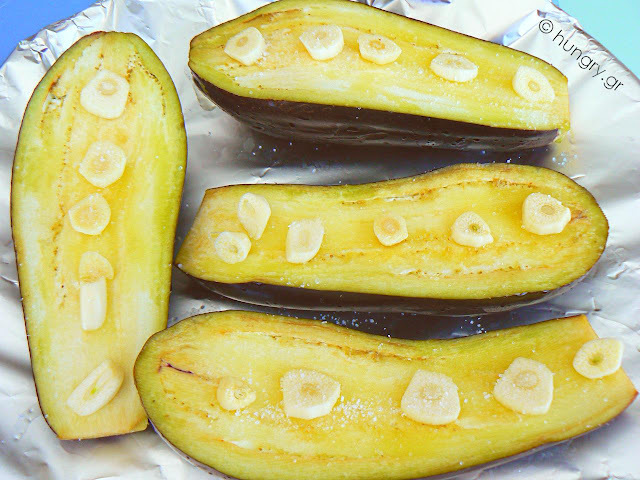 The eggplants are ready when the surface gets golden in color and the flesh is soft when tasting with a fork. 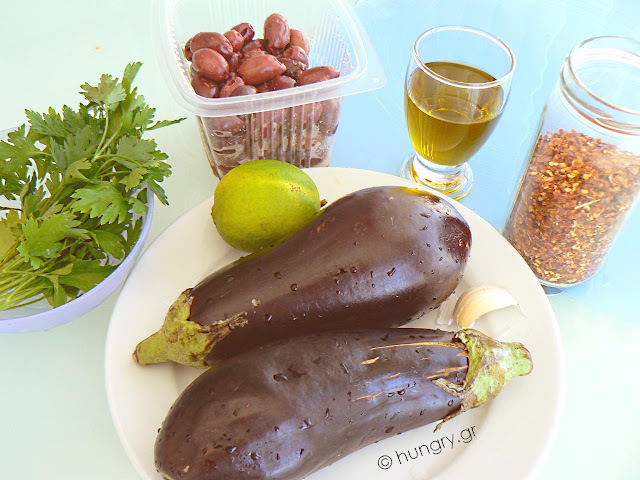 With a spoon, take the cooked flesh of the eggplant and put in the blender, sprinkle with a little olive oil, lime zest and pepper. Wash the olives, chop the parsley and add to blender. Beat until it becomes paste. Serve in a bowl, sprinkle with a little zest and a little pepper to taste. Test the taste with a stick of bread. Correct according to taste. Don't add salt. The olives contain enough. Spicy dip with cream cheese and an intense aroma of cumin. Finely chopped onion and peppers give it an extra flavor. Enjoy it with breadsticks or tortilla chips. 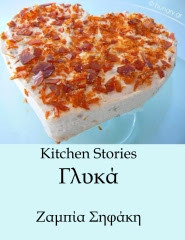 You can spread it on small buns and make sandwiches or toast bread and make small, irresistible canapés. Pine nuts, parsley, capers and a few green olives! 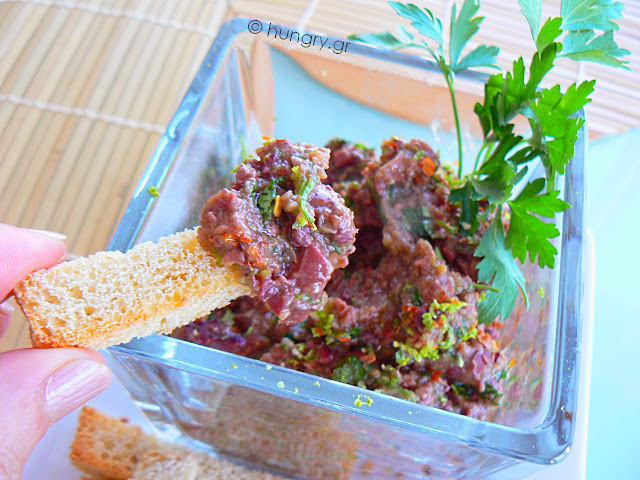 Make a quick spicy anchovy spread, take your favorite drink (a good white wine is perfect for this) and just enjoy! Tarama Salad, different with the addition of red peppers that give color and additional flavor. Pure olive oil, dried onion, squeezed bread, all well mixed and the tarama salad is ready. Appetizer, dip or salad? All this, for a very tasty "all weather" treat for our table. 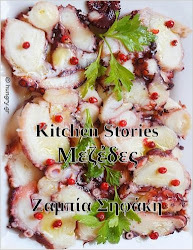 Consumed with large quantities of bread and can accompany your beer, wine or ouzo. Try another version of the classic, traditional taramosalata.